Please be aware: If you are in receipt of benefits and need to visit your dentist or get a prescription from your GP, you need to check whether you are on contribution or income based benefits. You are only entitled to FREE treatment it you are getting income based benefits whether that’s ESA or JSA. If you are on contribution based you need to complete a HC1 form(we have a stock of them in the office) or you can ask for income based benefits. Seek advice, if you have ticked the wrong box, NHS Business Services will charge you for the treatment and add a fine, which could be a substantial amount. Do your shopping online and help DAS! 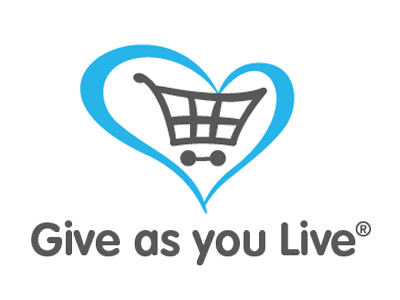 Shop online through Give as you Live and they'll donate to DAS for every purchase you make — and it won't cost you a penny more. Click here to find out more. Enter your email address and our latest news will be emailed automatically to you. Replace the plus with a minus to reduce the content size. The site will resize automatically for tablets and smartphones. Some content may move when the site resizes. A registered charity since 1998. In 2013 we became a Charitable Incorporated Organisation with the CIO charity number 1152772.